It feels like the end of an era – and it is in a way. 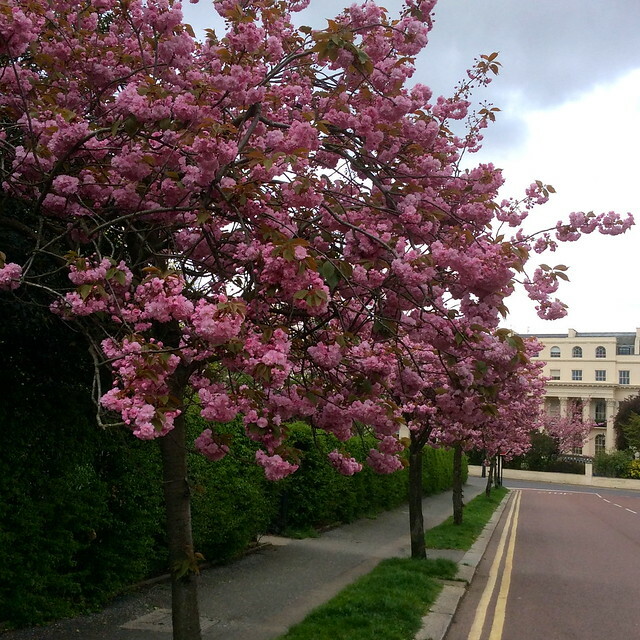 The avenue of cherries trees along Chester Road leading to Chester Gate, the glory of the cherry blossom season in Regent’s Park, is going. They’ve cut down half of them, and the rest will go on Monday. Not even the stumps are left – just bare earth. I can see you starting up from your chair in horror. How can this be? What are they thinking of, down at the Royal Parks? Has nobody protested? Well, what they’re thinking of is the future. It’s restoration, not vandalism. And their strategy has been approved by English Heritage, The Friends of Regents Park, The City of Westminster, The London Borough of Camden and Crown Estates Paving Commission. 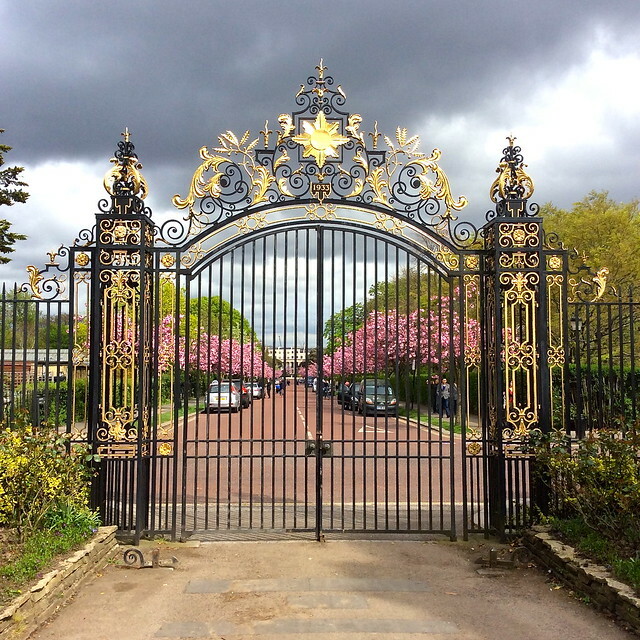 The first cherry avenue on Chester Road was planted in 1932, when the gilded Chester Road Gate to the Inner Gardens was erected, funded by a donation from artist and local resident Sigismund Goetze. The Inner Gardens were renamed Queen Mary’s Gardens in 1935. The current trees were planted in 1978 and are not only old but are suffering from a bacterial canker that produces dead areas of bark that ooze gum. Gradually the infected bark spreads until it girdles the trunk and the tree dies. They’re being replaced before that happens. 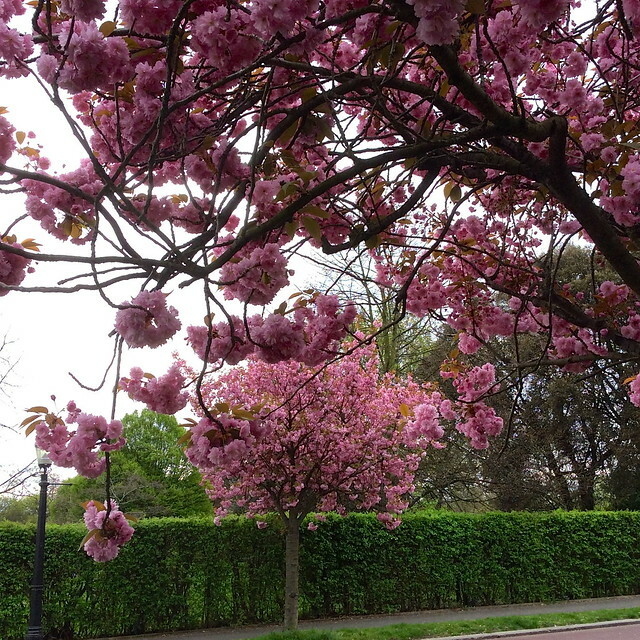 The old trees are Prunus Kanzan, with deep pink multi-petalled flowers. The new trees will be a different variety, the light pink Sunset Boulevard. A hundred of them, each six to seven metres in height, will be planted this winter, to flower in 2016. They’re being grown by Hillier Nurseries as a cohort of ‘clonal’ trees, so they’ll be as alike as peas in a pod. But, all this costs money. £176,600 to be precise, or £1776 per tree. The Royal Parks are fundraising to meet the cost and this is where you come in. You can make a contribution on their fundraising page where you can sponsor anything from a root to a whole tree. 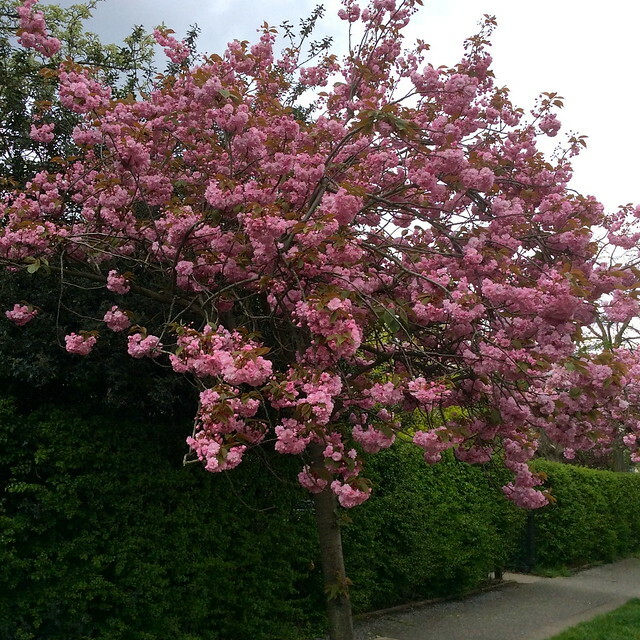 Or you can support Nick Biddle, the Park Manager, who is running the London Marathon to raise funds for the cherry trees. 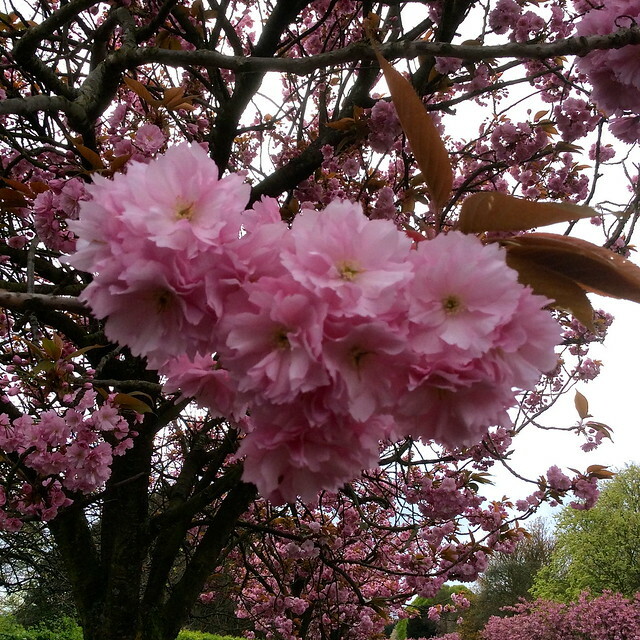 The photos of the old cherry trees in this post are ones I took last year when they were in full flower – for the last time as it now turns out. 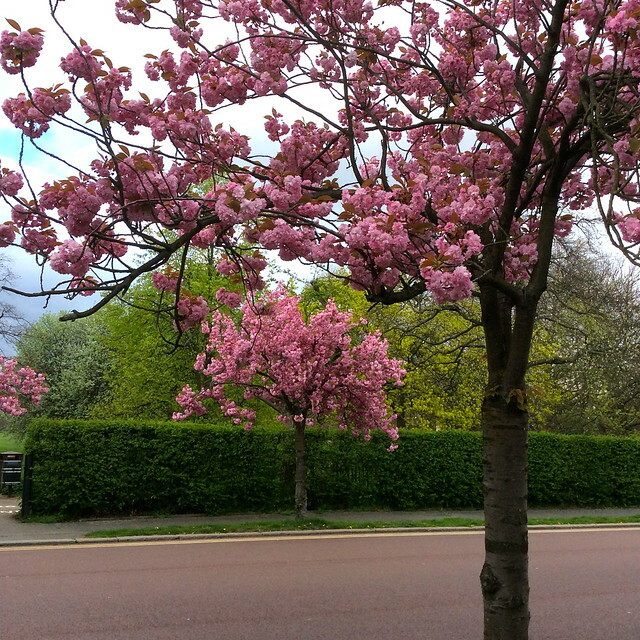 This entry was posted in Cherry Blossom, Flowers and plants, Regent's Park and tagged Chester Gate, London, nature, plants, Prunus Kanzan, Royal Parks by Fran. Bookmark the permalink. How sad! It’s good to know they’re making efforts to replant the trees though! Yes, I’m looking forward to next year. at least the cherries will be there when I next return in five years time….. They should be well established by then! I’m glad you took the photos last year. This is sad, but I look forward to next year’s show. Yes, I’m glad too, but sorry there’s be no blossom this year. Very sad indeed. At least they’re replanting but still! Beautiful photos to remember them now thanks to you. Thanks for the pics! Yes, it was so lucky I took the photos last year – I’d have been gutted if I’d left it to this year! I suppose there was no choice in the end.